From the young distillery from the Isle of Arran comes this single malt, finished in ex-port wine casks sourced from the best of the best in Portugal, following an initial maturation in traditional oak casks. 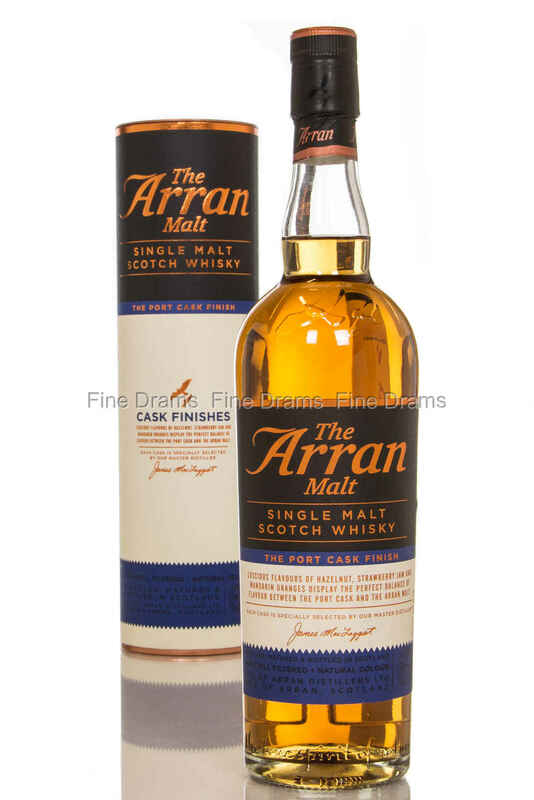 As most Arran whiskies, this expression is bottled without artificial colouring or chill-filtration, and to really showcase the port maturation it comes at 50% ABV. Nose: Rich raspberry juice, warm malt, slight cereal, slight blackcurrant, lemon drizzle cake, flowers, nuts and plums. Palate: Sweet apples, raspberry, blackcurrant, dry oak, lemon, wax, malty toffee, plums and slight prunes, walnut in caramel. Finish: Drying oak, sugared red fruits. Short and sweet. Overall: A really enjoyable sweet wine finish, with lots of wax and fruit. Dessert flavours with an aperitif character. A must try for fans of light malts and port casks.